My sister took me to Kildare Village recently where we had breakfast in the only Pain Quotidien cafe in the country (more’s the pity) and then wandered around. Kildare Village is an outlet shopping centre. It is antiseptic but strangely appealing to me. It goes against all my principles but I want to go back. Alas. In more worthy activities, we also visited Spike Island which is Europe’s premier tourist attraction. 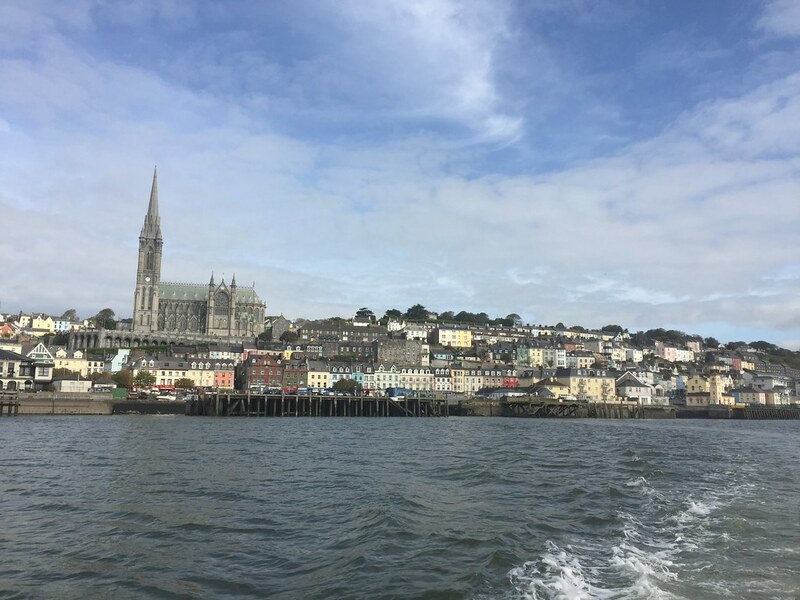 I have to say, notwithstanding its success in the tourist awards and the fact that it is in Cork, if you had to choose between it and the Colosseum, I think the latter would win out. Spike Island is, obviously, an island and it’s always nice to have a little boat trip. The guides when we got there were superb – knowledgeable and entertaining and, although, I thought that we would find over 3 hours on a very small island a bit dull, it wasn’t. We didn’t even see everything. I would definitely go back again. 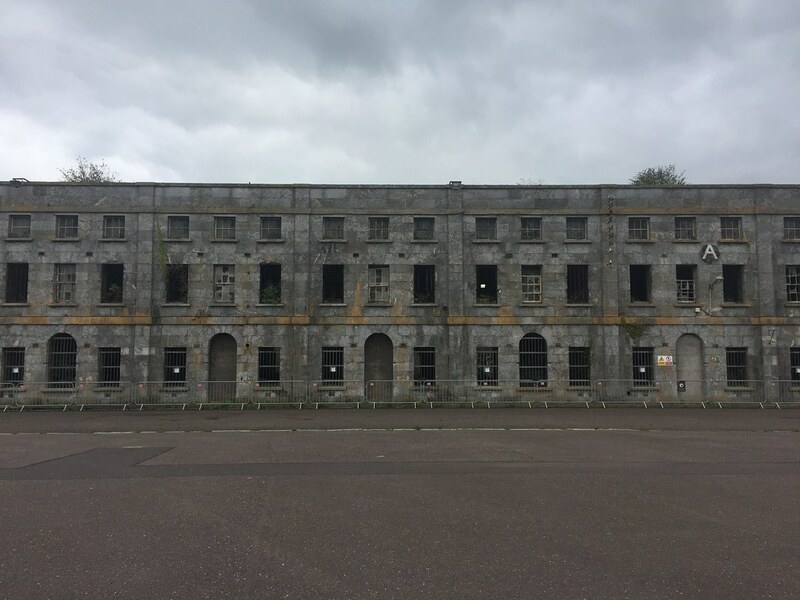 It was one of the Treaty Ports handed over by the British in 1938 and a small building near the pier was the last structure built by the British in what is now the Republic. The island is full of intriguing snippets of history like that. 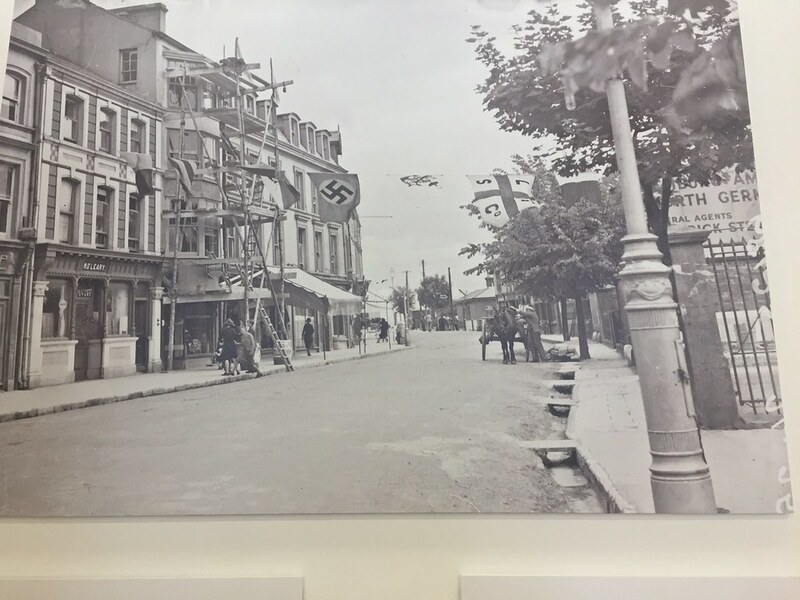 There’s an exhibition featuring a number of things including this picture of the flags on display in East Beach, Cobh, Co. Cork on 11 July 1938 to celebrate the passing of the port to Ireland. Ahem. I hadn’t realised that when World War II broke out, Churchill wanted the Treaty ports back but DeValera wouldn’t let them go back. Frankly, Churchill was not at all as popular in this jurisdiction as across the water. Handed over “by the British” not “to the British”. I suspect the last building was built before it became a republic. Yes, definitely “by the British”, must correct, thanks.